Shah Rukh Khan recently did a cameo in Salman Khan’s film Tubelight. Shah Rukh played the role of magician in Kabir Khan’s film. Now during Eid celebration the actor hinted that Salman might do a cameo in his next film. 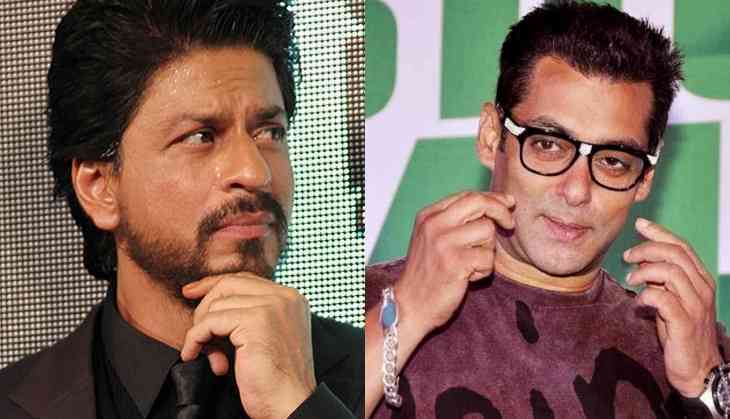 Shah Rukh has reportedly said that there is a possibility of a cameo and he is going to suggest Salman’s name for the same. Anand L Rai’s film went on floor this month and Shah Rukh has shot for some portions of it in Mumbai. Incidentally the film was first offered to Salman and he had agreed to be part of it, but he could not do it and Shah Rukh stepped in. The film will feature Shah playing double role and one character will be shown as a dwarf. The film also stars Katrina Kaif and Anushka Sharma and is slated to release next year. Shah Rukh is soon going to start promotions for his upcoming film Jab Harry Met Sejal, which is directed by Imtiaz Ali and stars Anushka Sharma.